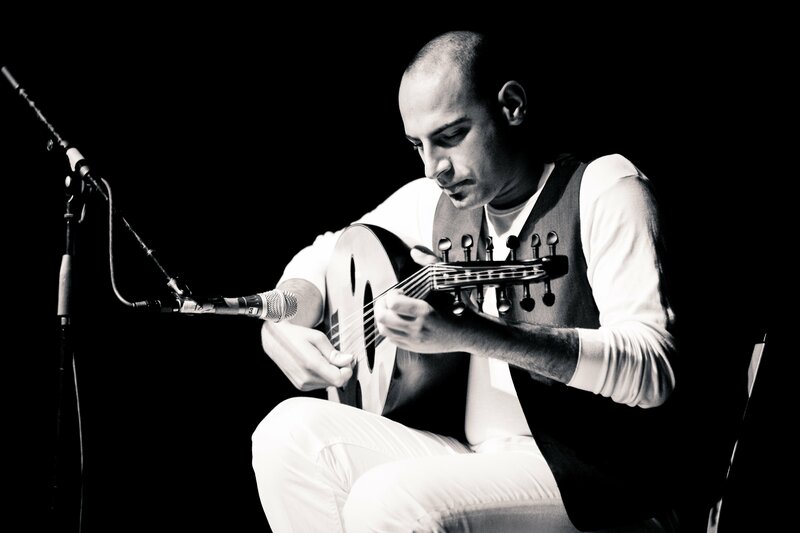 How does the Guitar came out of the Oud? Came to Spain first by “Zyriab” on “9th Century” at his era, the Oud developed to take another embodiment, which is become the Lute after the musician added to the Oud the frites , since the Oud is fretless instrument, after few years of this development the Oud have been in another embodiment which it become the Guitar. “ The term guitar is descended from the Latin word cithara, but the modern guitar itself is generally not believed to have descended from the Roman instrument. Many influences are cited as antecedents to the modern guitar. Although the development of the earliest “guitars” is lost in the history of medieval Spain, two instruments are commonly cited as their most influential predecessors, the European lute and its cousin, the four-string oud; the latter was brought to Iberia by the Moors in the 8th century. Learning and teaching the Oud has become easy more nowadays, we have the School of Oud Online, the first Specialized School Online, after the great time that Ramy Adly spent with Naseer Shamma of learning the Oud from him and teaching the Oud with him later, Ramy got inspired to establish his School of Oud.